Jack and I seem to be having our own version of Summer of Love — the love we have for our furry friends!! We have dogs, our kids have dogs, our siblings have dogs… we are a doggie family, with a couple of cats thrown in here and there. 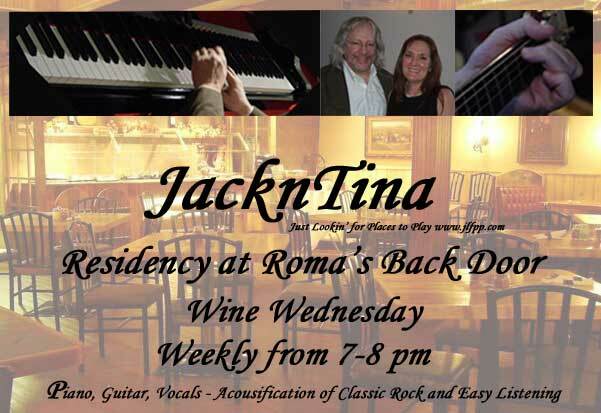 We have been at Roma’s Back Door every Wednesday for Wine Wednesday… having fun and enjoying the company of friends, family and new ‘friends’. 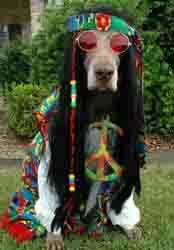 WOOFSTOCK II is RIGHT AROUND THE CORNER! 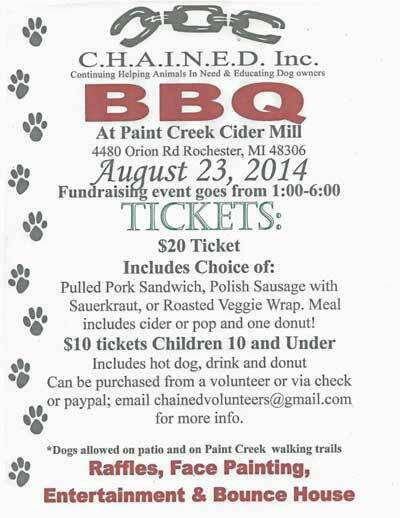 Join us SATURDAY, June 28, 2014 from 3 to 7 pm just east of 2881 West Bennington Road, Owosso, MI for this Fundraiser for the voiceless @ the Shiawassee Humane Society!! Come taste the best Michigan Micro Brews out there as well as great Michigan Wines. Live Music, Food and an ALL GRAIN Homebrewing demonstration by members of SCABS – Shiawassee County Area Brewing Society. For more information please contact either Mike Espich, Dave or Deb Hansell Faulkner or Ryan Kuchar. Advanced tickets are available now at McNeil St. Market, Smokin’ Johnny V’s Barbecue Bistro, and Shiawassee Humane-Society at just $25 in advance and include a souvenir glass and brew / wine tasting tokens. New this year is a VIP ticket available for $50 that entitles you to enter an hour early, as well as receive extra drink tokens and a groovy event t-shirt! THIS IS A Grassroots Fundraiser and your donations are appreciated! More info to follow. If you are interested in participating please contact us immediately. Come out and enjoy this great event and support such a worthy cause. Our two dogs, Harrison and Crosby, are rescues. 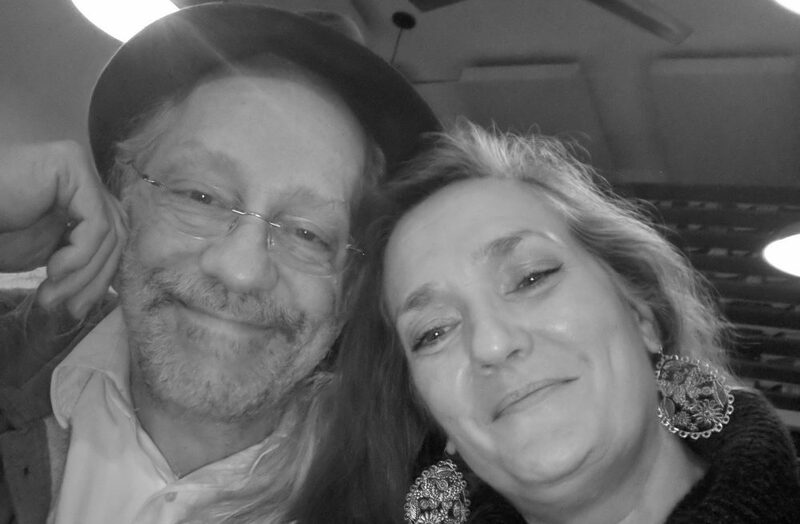 We adore them and cannot imagine our world without them. This is event very dear to our hearts and deserving of support. The schedule of our residency for Wine Wednesday! The first Friday of the month is dedicated to relaxation and a fun hour of great food, great atmosphere and great music! 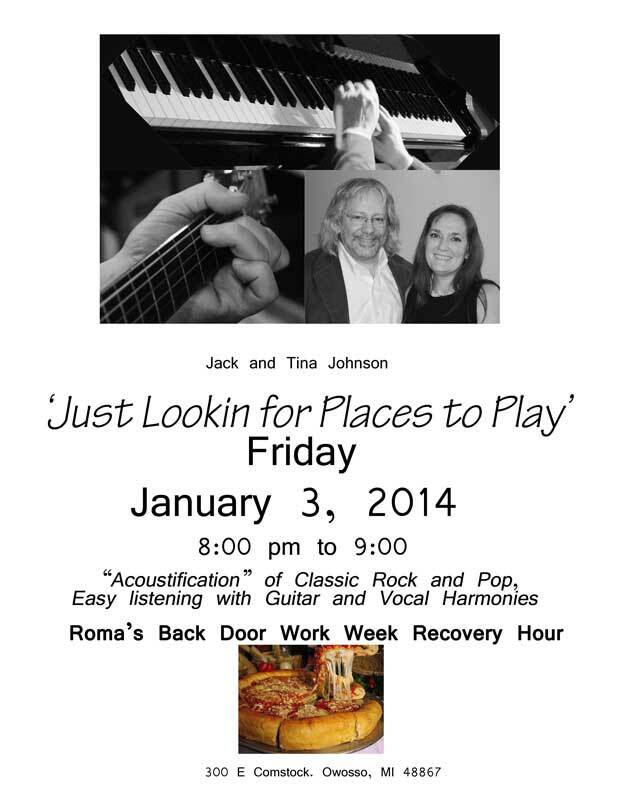 Come and join us at Roma’s for the Work Week Recovery Hour! 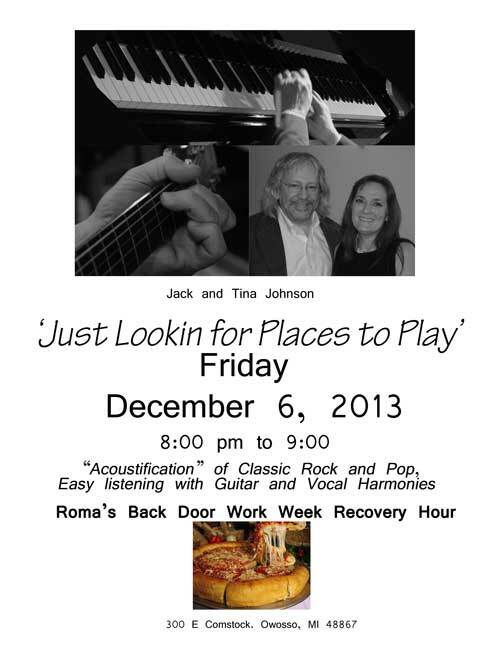 Roma’s Back Door and your hosts, John and Jan Orin, have created the best atmosphere and venue for live acoustic music in Shiawassee County. Come join us!! We’ll have a lot of your favorite Beatles tunes – and maybe a few you don’t hear very often! Not only it is the First Friday of the Month, it is the First Friday of 2014!!! 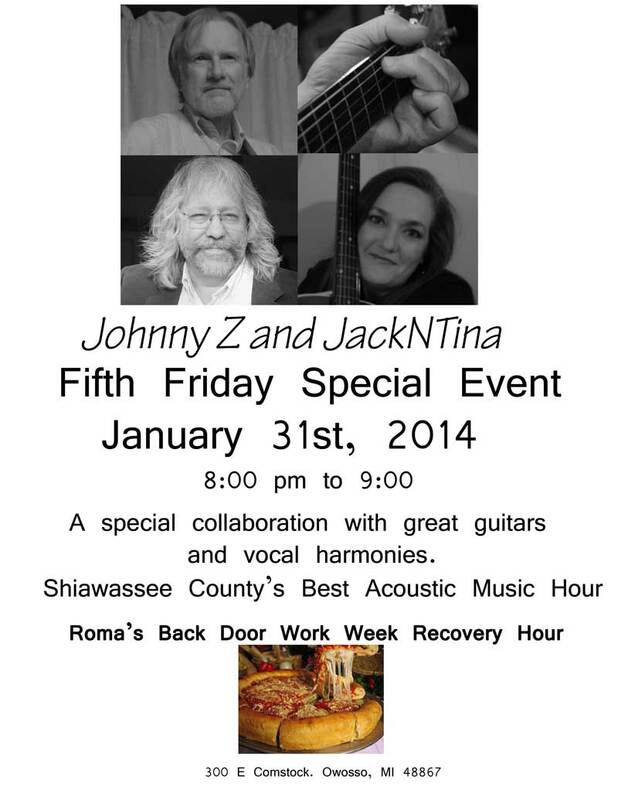 Come out and join us for some great food, fun friends and the Best Acoustic Music Hour in Shiawassee County!! 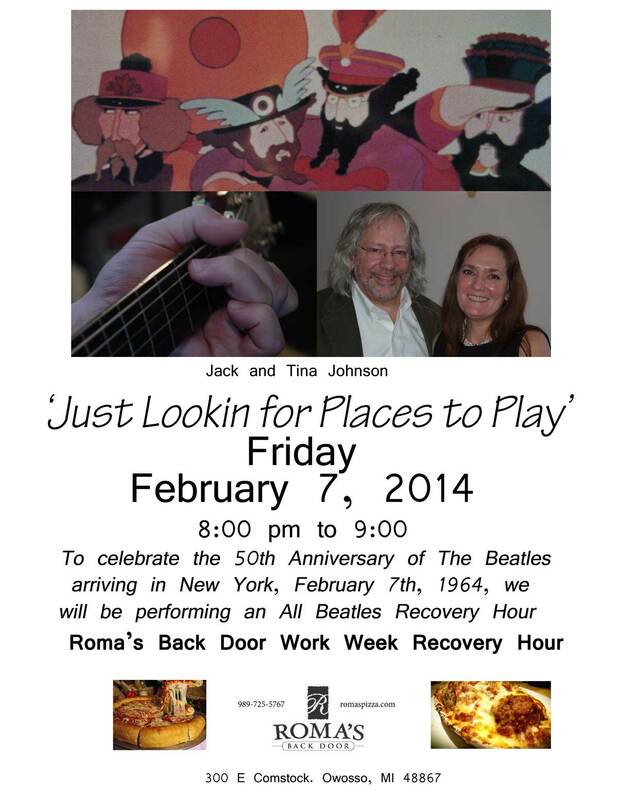 We are thrilled to be a part of Roma’s Work Week Recovery Hour!! Every week you will get really nice food, music, fun, friends — and most of all a wonderful venue, which has been designed to include music both inside and outside! 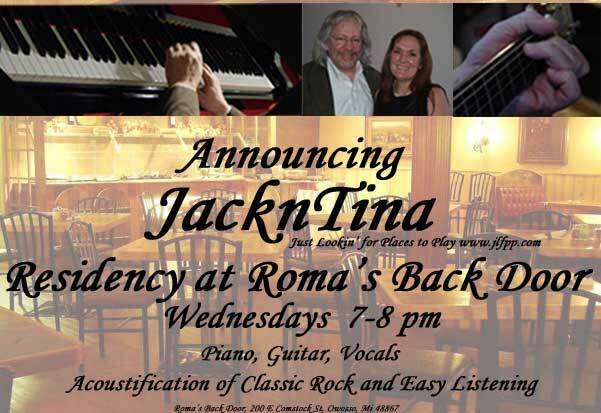 Roma’s is going the extra mile to be something unique on the music scene in Owosso – a nice supper club type setting where the music can be heard, but so can the other members of your party; where children will enjoy the music and families can share a meal with a smile; adult beverages are available, but not the focus. How refreshing …. We have the first Friday of the month and the rest of the month is filled with our friends. Johnny Z – Second Friday; Graham Johnson – Third Friday and Jim Jersey – Fourth Friday. This is an ongoing program for Roma’s – lets support it and … Join us – you won’t be sorry!! Come and join us the first Friday of the month for relaxation and a fun hour of great food, great atmosphere and great music! 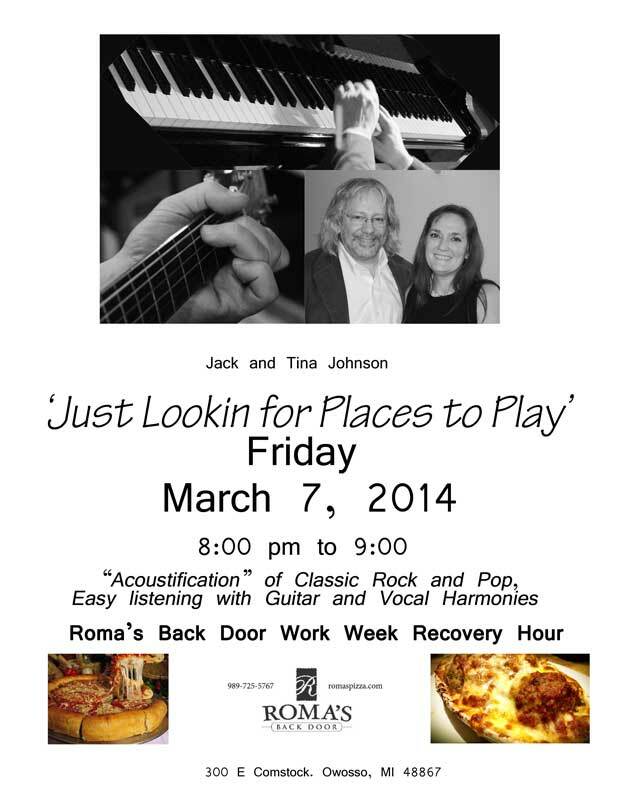 Come and join us at Roma’s for the Work Week Recovery Hour!